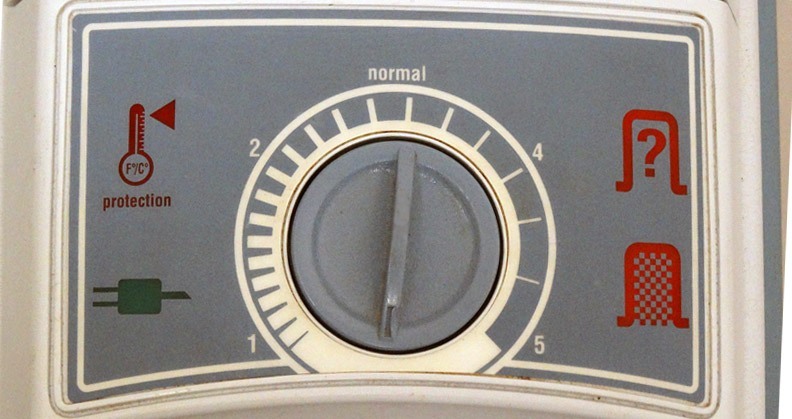 The center dial is the control dial, which is an integral Electrolux canister vacuum part, and it should be set according to the size of the particulate you are vacuuming. Particles like finer sand should be vacuumed with the dial positioned on the 1st setting, and larger particles should be vacuumed with the dial positioned closer to the 5th setting. Having the control valve at the appropriate setting allows the full-bag indicator to function properly. The "normal" setting is adequate for most situations. This heat protection light alerts users if the motor is overheating. The vacuum will automatically shut down, when this light comes on, to prevent any motor damage. 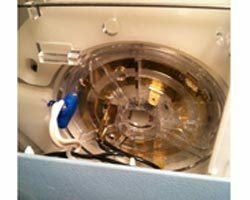 Common causes of this are a clogged hose or running the vacuum too long. Try unplugging your vacuum for a while, to let the motor cool down, if the latter is the case. If this light stays on continuously, then there is most likely permanent motor damage involved. This green power indicator will alert the user that the vacuum is plugged in and receiving power. 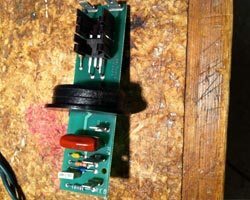 If this light does not turn on, there may be a problem with the electrical connections in the cordwinder. This bag check indicator light notifies users if the bag lockout switch within the canister is malfunctioning, or needs to be adjusted. This bag change indicator light is perhaps the most useful. When this indicator is illuminated it means the bag within the vacuum is full and needs to be replaced. However, it could also indicate an issue with the control valve setting. 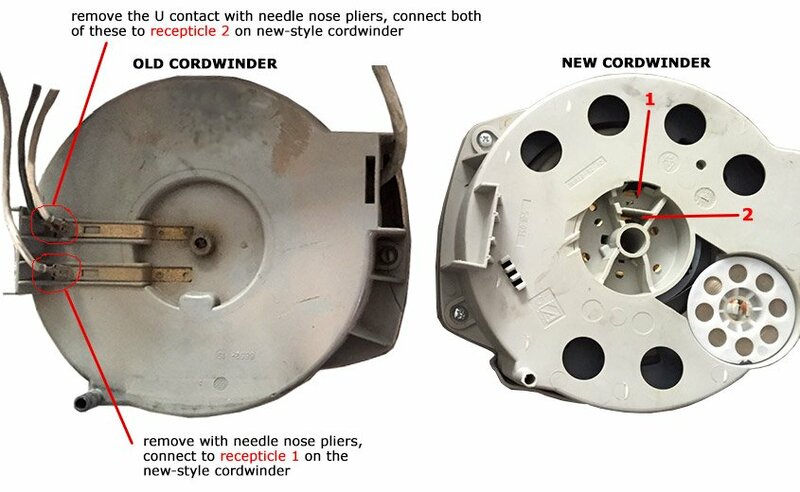 This new style cordwinder works numerous Electrolux metal canister vacuums, the 1401 Golden J/Super J, 1401-B Olympia One, 1505 Silverado, 1521 Marquise/Grand Marquise/Diamond Jubilee/Ultralux Classic. 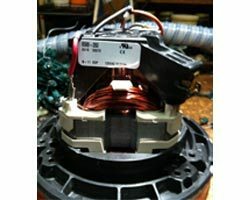 Use this diagram to repair, or replace the motor, in your 2100 Electrolux canister vacuum cleaner. 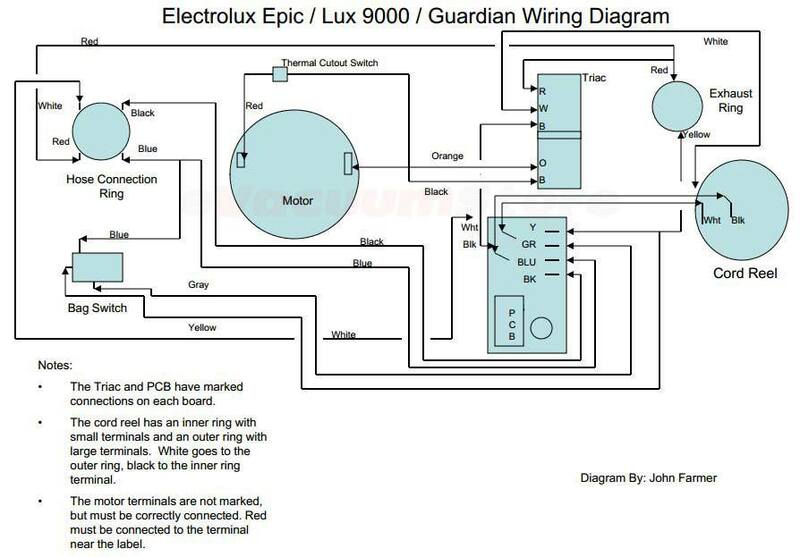 This diagram is also applicable to the Diplomat, Diplomat XL, Lux 5000, Lux 2000, Lux 5500 Electrolux models. 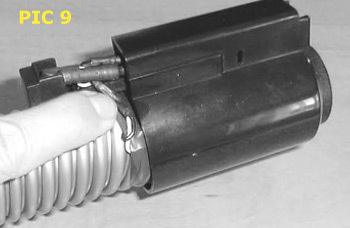 Use this helpful guide to assist you with converting the electrical connection on the end of your Cen-Tec central vacuum hose. Cen-Tec manufactures durable, versatile hoses that are convertible and can be used with either a direct connect or pig tail configuration. 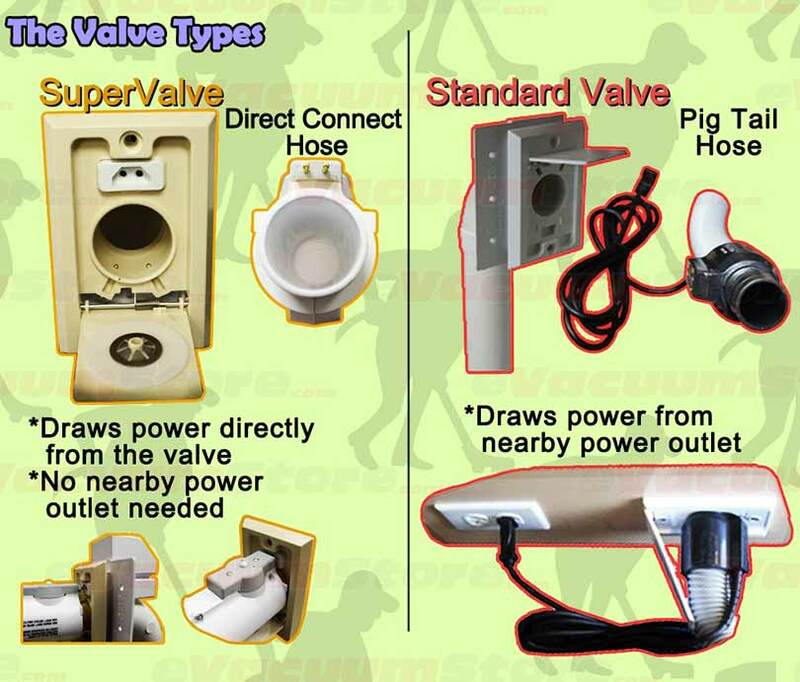 The style of the inlet valves installed in your home determines which type of configuration you'll need. This step-by-step conversion guide also applies to Nutone central vacuum hoses. 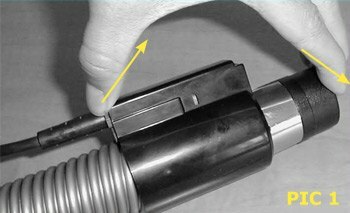 Insert a blunt object into the upper snap lock while pushing forward. This is best accomplished by placing the pipe on the table and placing a bending force on the wall end, (see the arrows on the picture). Do not use a sharp object, because it will not depress the tab and release it. 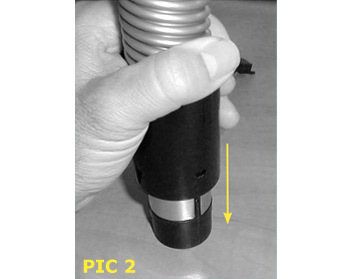 Depress the lower snap lock while applying force as depicted in the picture above. The cover will release and can be removed via the direction of the arrow. 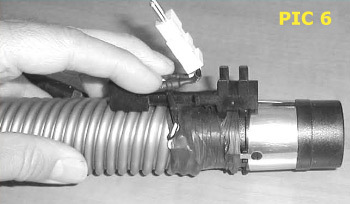 Raise the electrical connectors above the cord holder. Note which side of the cord holder wires are on, wires are always to enter this side of cord holder. 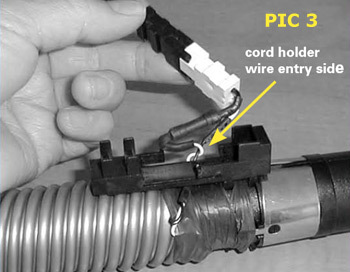 Raise the cord holder above the pipe, the same direction as removing the electrical connectors. Turn the cord holder 180 degrees and install in the opposite position, place wires so that the wires enter the correct side of the cord holder. Push cover into place, the lower snap lock should snap into place. The top snap lock is locked by using forces in the opposite direction of picture 1. Use a bending motion to force this lock into place. Wait for the "click" sound. 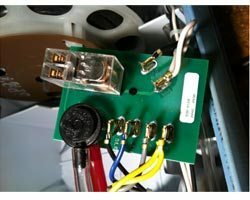 You'll want to check the wire connections on the Triac too. have trouble removing it if you pry gently. 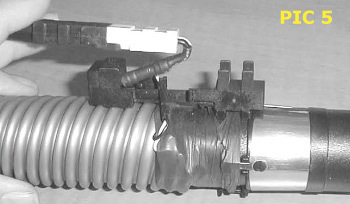 connected to the motor terminal that is facing the label.